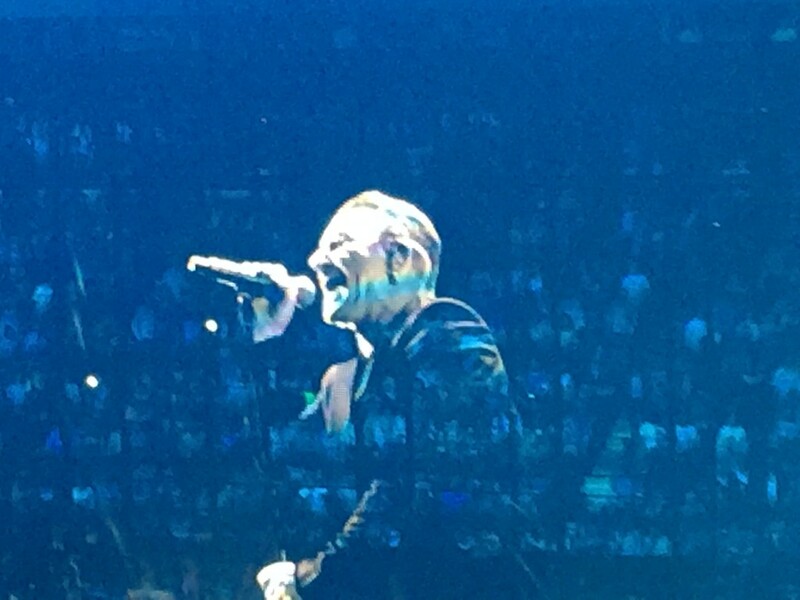 So last week I just happened to have tickets to the opening night of U2′s iNNOCENCE + eXPERIENCE Tour in Vancouver. Now that certainly seems blog post worthy! Though I am not sure it is worth even trying to write about it….there really are no words to explain the experience adequately! Let me just say it was AMAZING, all I had hoped it to be and even better than the last two times I saw them live (and that is saying something!!). U2 is quite simply MY FAVOURITE BAND EVER and I love that I have loved them since high school. How perfect that with this tour and the new album, we are transported back to Bono’s life during his own teen years. I loved all the new songs they chose to share at the concert and they somehow choose the exact perfect compliment of older songs! My friend Gina and I were singing with all our heart, with our favourite band and it really did feel like we were sharing the eXPERIENCE with them (how they managed to make a crowd of 20,000 feel intimate I am not sure, but they certainly did)! I loved too the social commentary that they highlighted during the show (another reason I think that I have loved them for so long). And then there was the show itself, the bells and whistles that made the songs come to life with live band members interconnected within moving graphics! Again, the words cannot describe the experience, but for a sense of the magic you might check out this link. Needless to say, we were still singing as we walked alongside so many happy fans out on the street after the concert (and after a super SWEET encore!!). By the time we got to our hotel only a short distance away, we were still buzzing. There was no way we were going to sleep anytime soon. 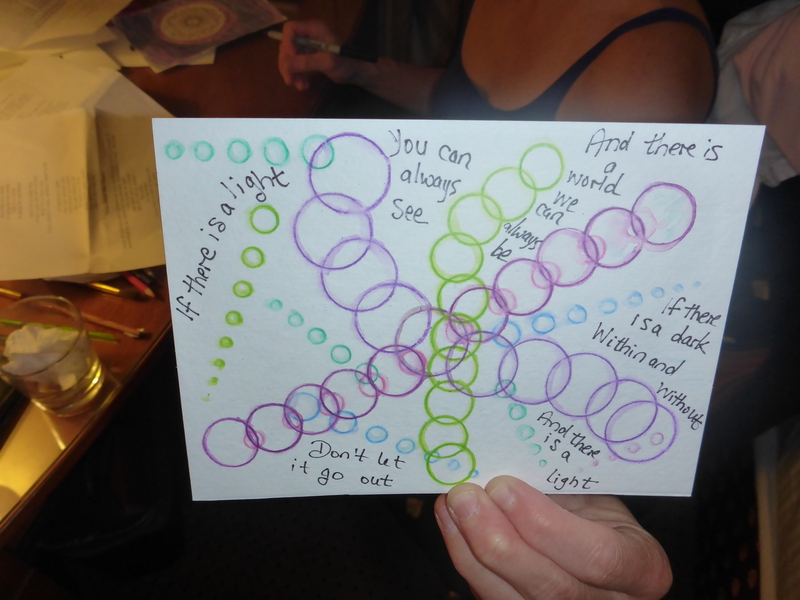 Gina plugged in her U2 tunes and we pulled out some snacks and some art supplies and we sang some more and made some art. Here’s some of it, quite clearly totally inspired by U2. Whenever I look at these I smile and start humming or singing all over again. Maybe they will get the same response from you? P.S. A big thank you and photo credits for the concert images in this post go to Gina — she even captured us singing with the band on video (but it somehow does not sound as good in the recording as we did live….we might have to work on that a bit before we officially join the band). This entry was posted in Uncategorized and tagged painting, U2, U2 iNNOCENCE + eXPERIENCE TOUR by admin. Bookmark the permalink. 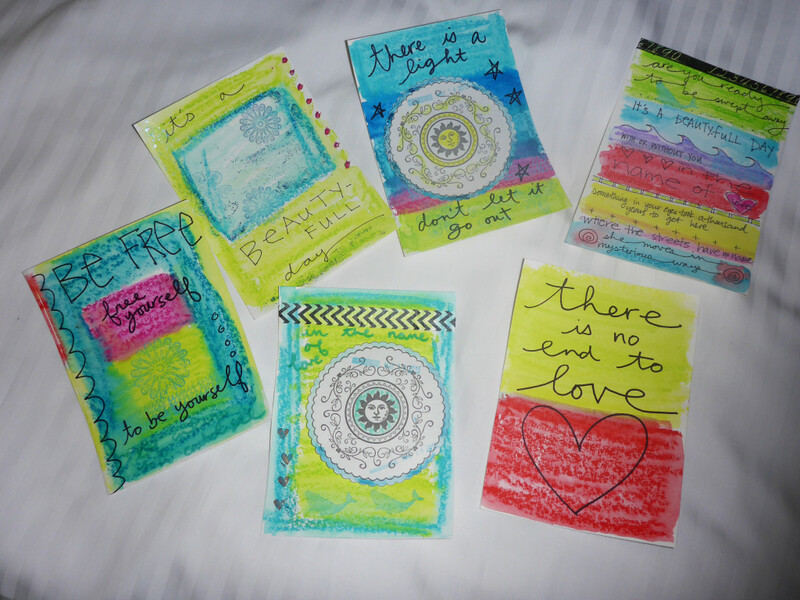 Love the blog Christy girl! 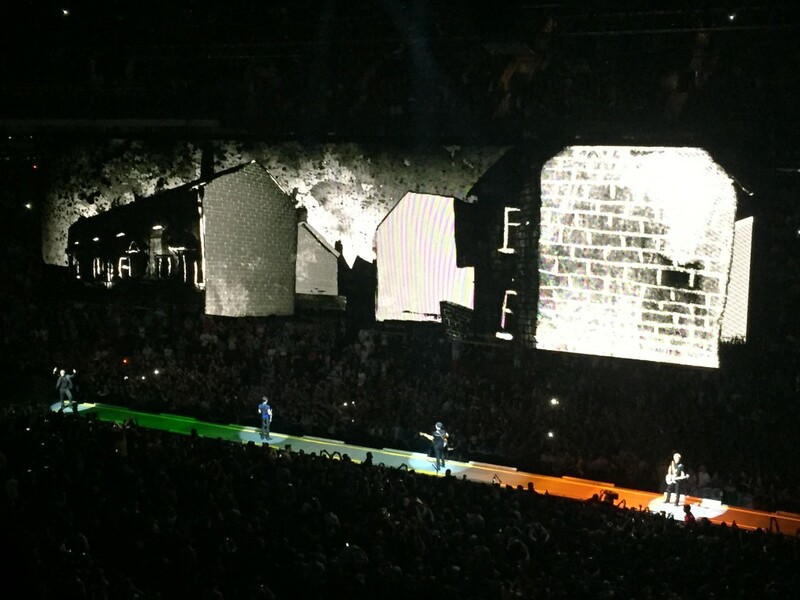 Here’s to U2 in Dublin!!! Christy! 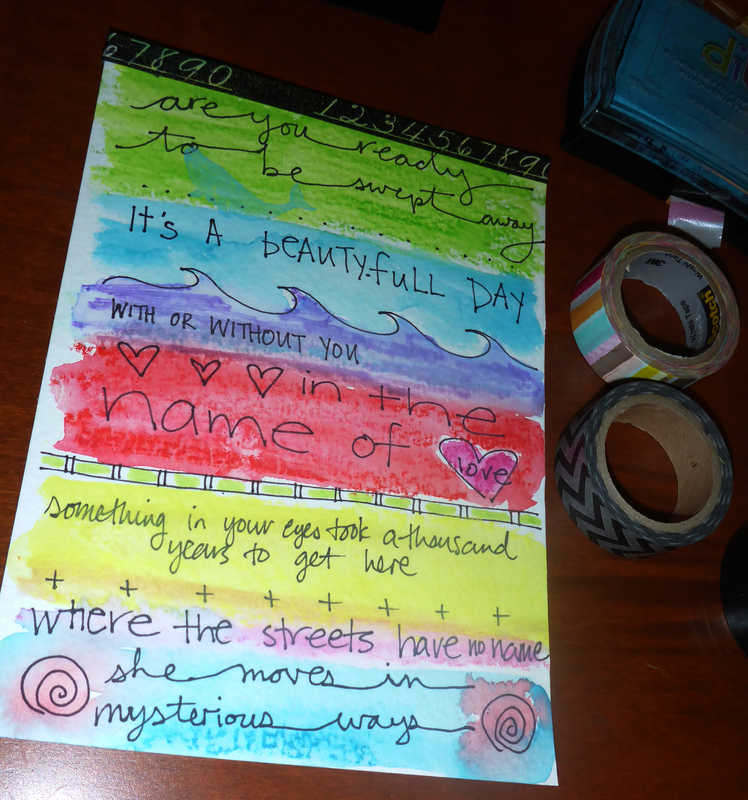 I love your colorful artwork! 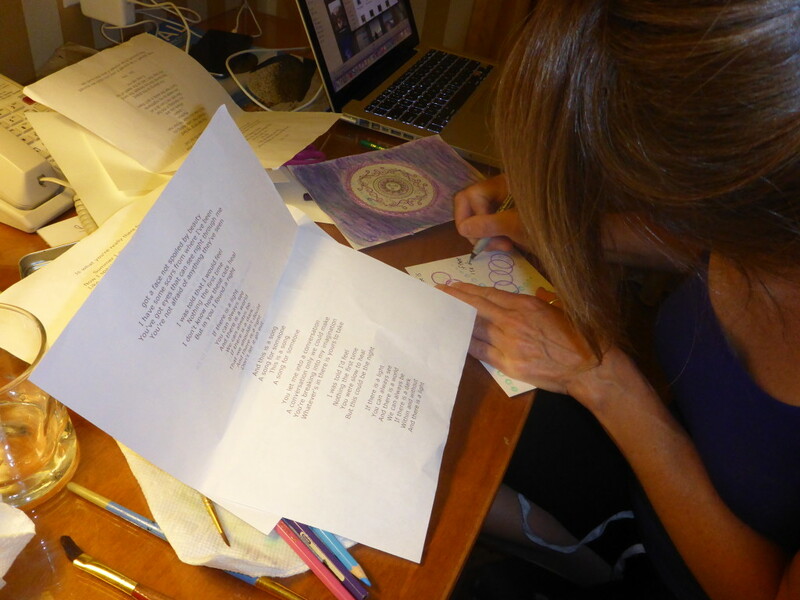 Inspiration truly comes from anywhere… music for sure. I’m so glad I stopped by to see what you’ve been up to. Thank you for stopping by Naomi. I see from your blog that you too are finding much inspiration these days! Reminds me to get back at it!